spirits to enter her body. Buyankhishig, a shamanic healer in Mongolia, typically visits her homeland several times a year to rejuvenate her practice. The trips offer her a break from her challenging yet rewarding work in Mongolia’s capital, Ulaanbaatar, where neighbours visit her home to share their problems – illness, domestic violence, financial worries – and receive her advice. She is one of several healers who have shared their thoughts with University of Cambridge social anthropologist Dr Elizabeth Turk. Over the past eight years, Turk has been exploring the increased popularity of nature-based remedies and ‘alternative’ medicine during a time of social, political and economic change. Here, she describes some of her research experiences. Listen to Buyankhishig as she called her ancestor spirits while her assistant waited to &apos;catch&apos; her landing with a felt mat. 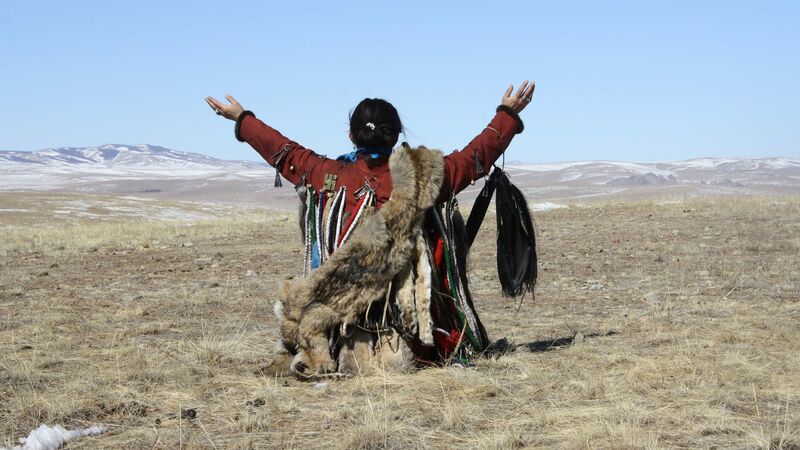 Shamanising in her homeland in Övörkhangai represents an important way for Buyankhishig to care for and remain connected to the spiritual constituents that inform her practice. 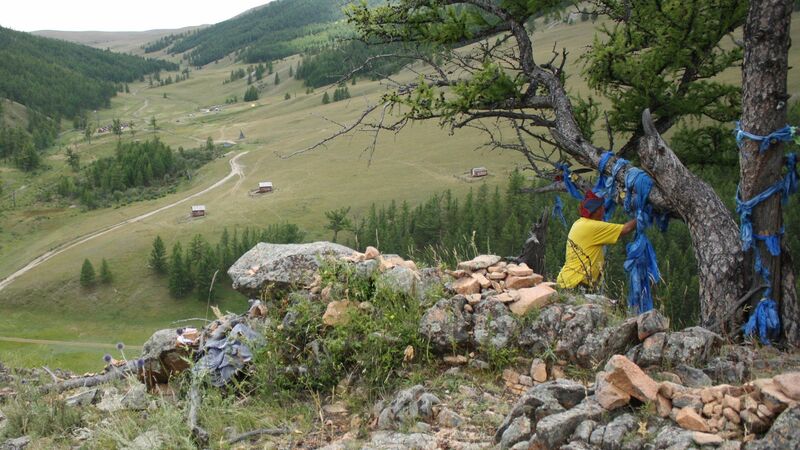 In the countryside not far from Ulaanbaatar, a shaman initiate received the name of his ancestor spirit from his teacher&apos;s ancestor spirit. The morning had witnessed aspersions of milk and vodka "just like the ocean" to the sky (tenger). After receiving his ancestor spirit&apos;s name, the initiate called to him for the first time. Aided by family members and veteran shamans, the initiate attempted to embody the spirit by beating his drum, singing and whirling. 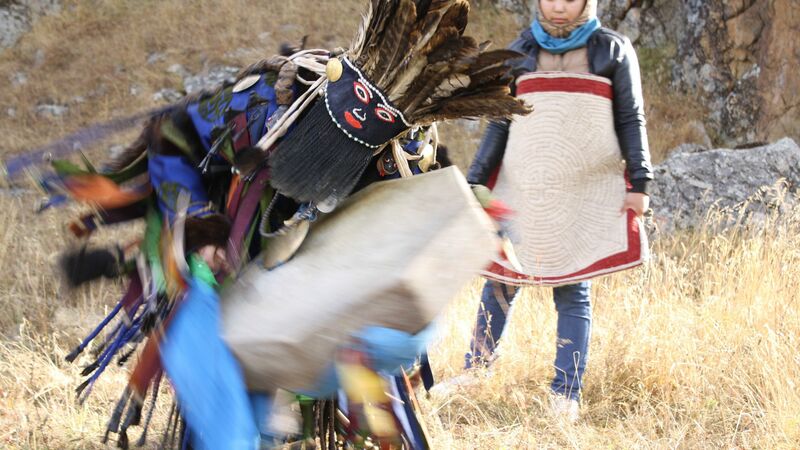 "Shamanism has gained popularity over the past 30 years," says Turk. "Largely considered a pre-Soviet &apos;tradition&apos;, it plays an important role in national cultural imagination. "Mineral mining, pollution and mass migration to the capital have coincided with local perceptions of an increasing volatility of ‘spiritual masters’ of the landscape. The causes of certain illnesses are attributed to retribution from these entities. " Some shamans are vocal in protest, struggling against foreign mining companies to defend nature. Others, including Buyankhishig, are more ambivalent. She worries about the destruction of the landscape, but her nephew works in the local mine – a job that brings regular income for his family. 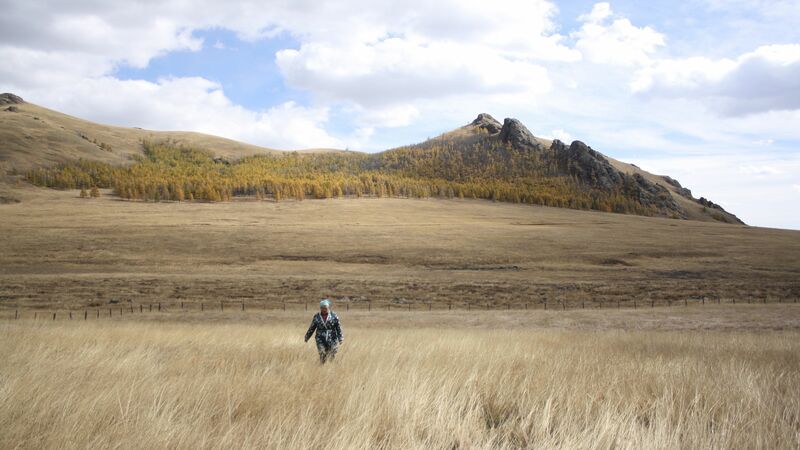 "The importance of maintaining a relationship with the natural world, especially as that relationship changes, is widely held by shamanists and nonshamanists alike," says Turk, from Cambridge&apos;s Mongolia & Inner Asia Studies Unit. "A common understanding is not necessarily that mining should stop but that it needs to be done the right way, by restoring the natural environment. "My research asks what are the implications of a global need for minerals for the people who live in the places rich in them? Tracing these tensions and ambivalences locally affords unique insight into global systems that affect us all." 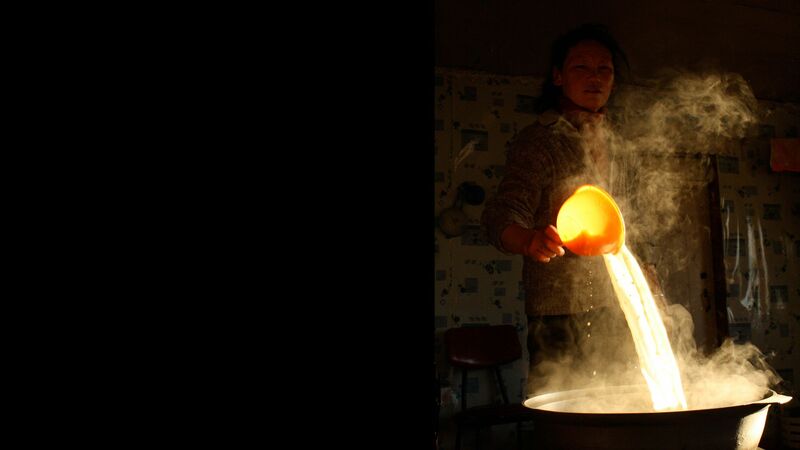 Image: A woman stirred the morning salty-milk tea (süütei tsai) at her log cabin home near Lake Khövsgöl in northern Mongolia. Two travellers stopped to make offerings at a roadside cairn. They circumambulated clockwise, offering small stones while saying "for your origin, Cairn. For mine, many profits" (Ovoonii eh tandaa, olzonii eh manidaa). As a focal point for convenient worship of the mountain range beyond, many ask for safe travel in this way – or, if pressed for time, beep the car&apos;s horn while passing. 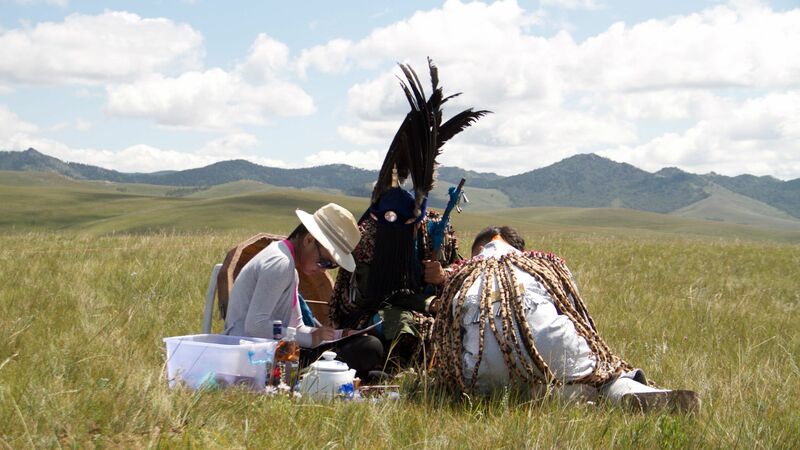 Outside Öndörkhaan in Khentii province, a woman prepared to shamanise, removing the necessary items from her ritual suitcase. 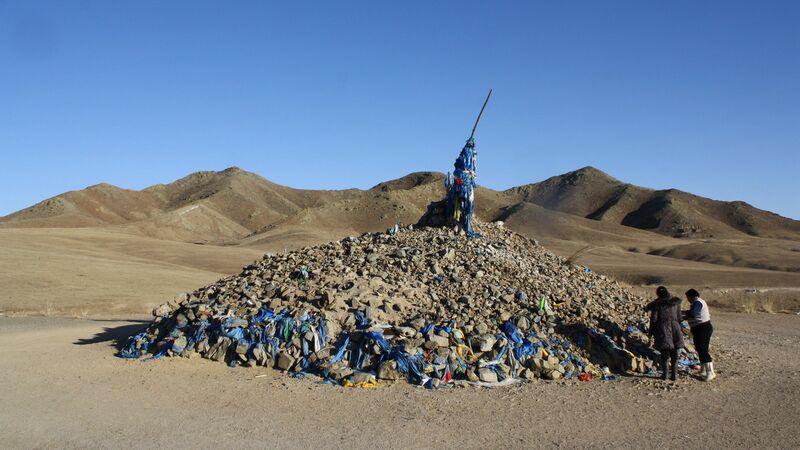 Galbaabadraa otoch, a Buddhist lama and healer, attended to a sacred tree at Naranbumbat’s mineral spring (rashaan) in Khövsgöl province, loosening previously tied scarves after securing a new one. 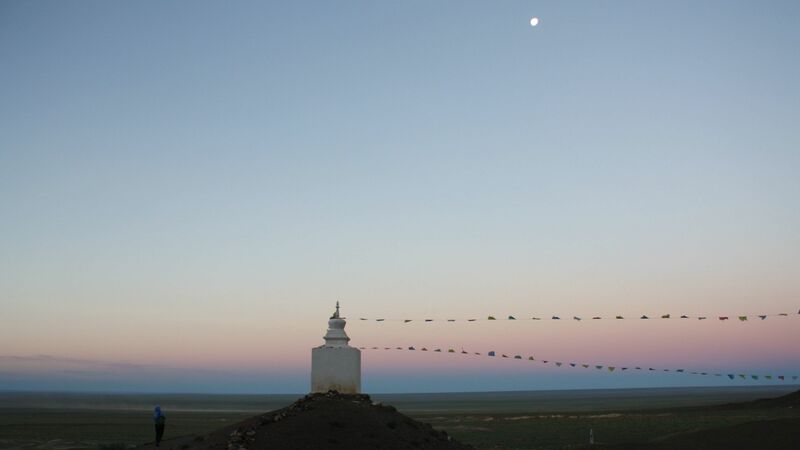 A worshiper at dawn, a moment considered auspicious to set prayers and wishes in motion, on Khan Bayan Zürh Mountain in Dornogovi province. While on the road, a shaman disciple stopped to worship and make offerings. For urban shamans, such countryside trips are crucial to strengthening one&apos;s practice. The disciple&apos;s teacher explained that she learned "from nature, my ancestor spirits and the sky" and helps her disciples to train in the same way, saying, "if you sit in the city, how will you take your power?"